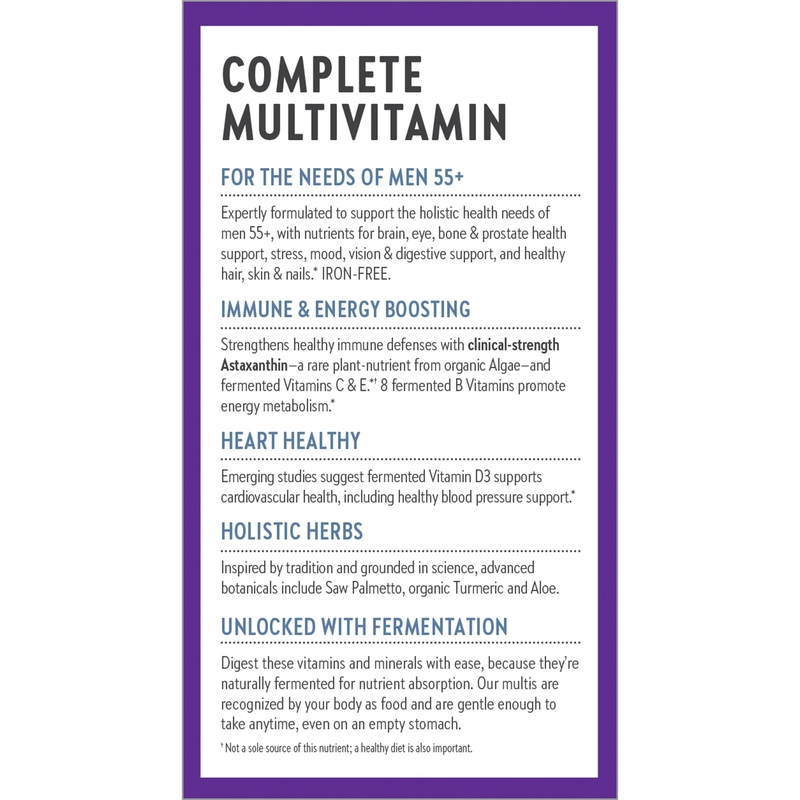 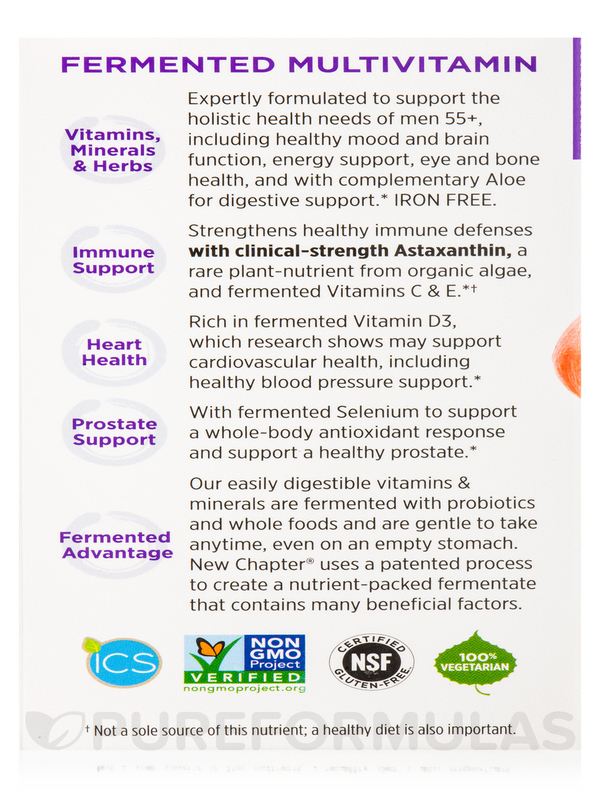 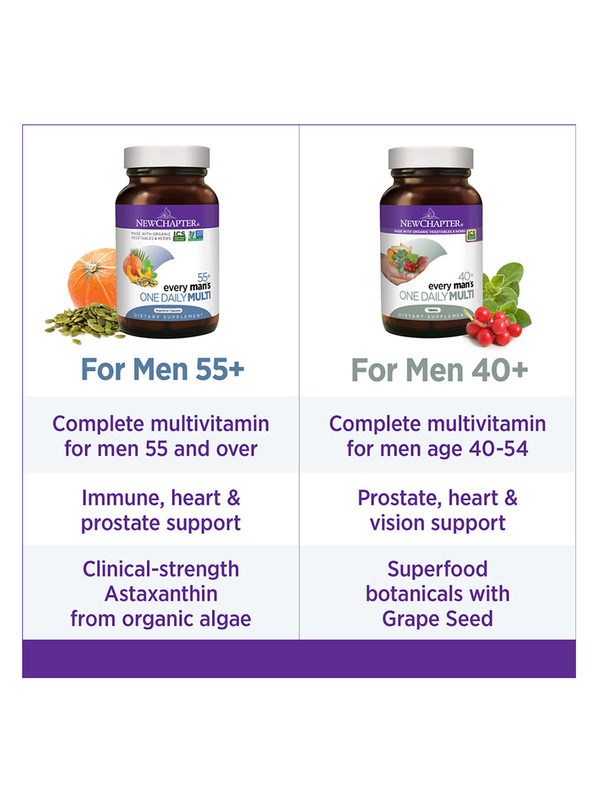 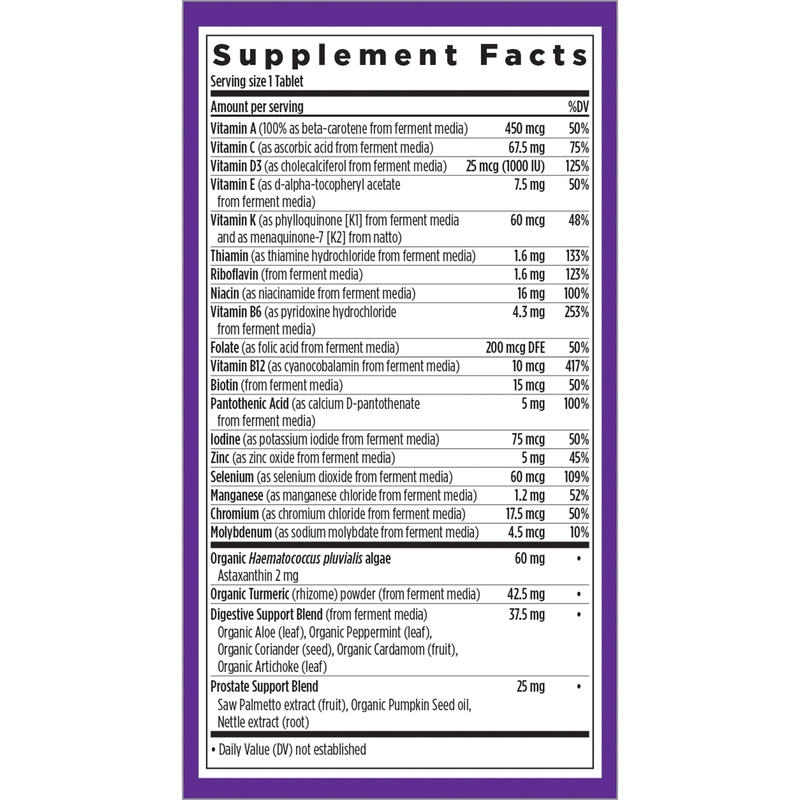 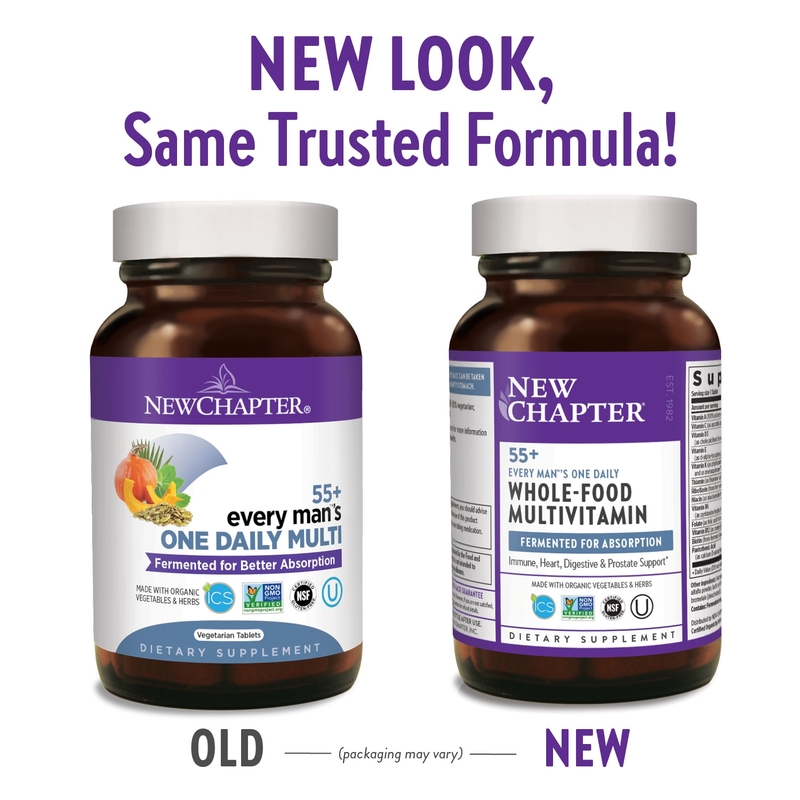 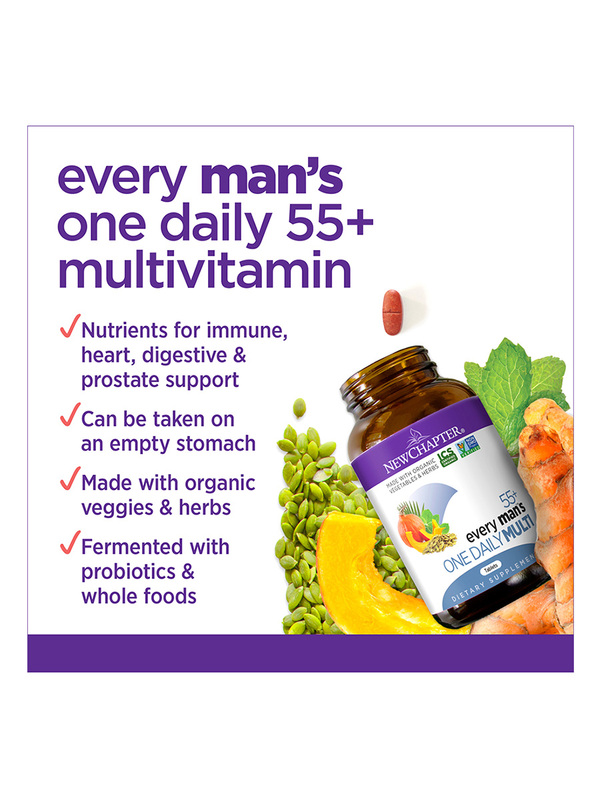 Expertly formulated for the needs of men 55+‚ supporting immune‚ heart‚ digestive‚ and prostate health. 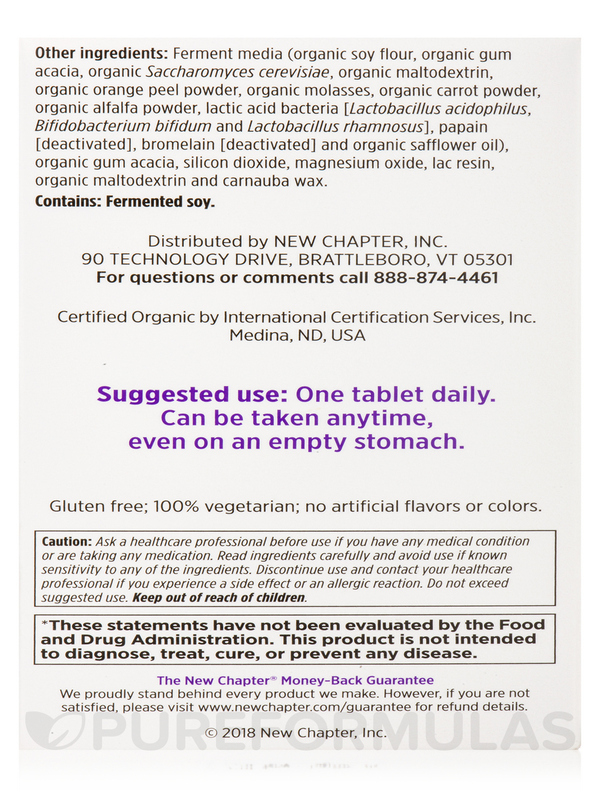 Organic Aloe (Leaf)‚ organic peppermint (leaf)‚ organic coriander (seed)‚ organic cardamom (fruit)‚ organic artichoke (leaf). 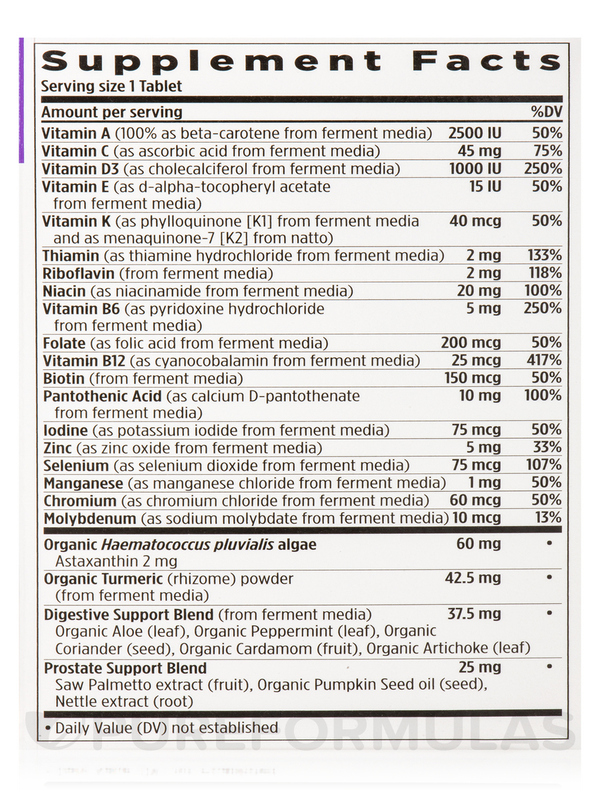 Saw palmetto extract (fruit)‚ organic pumpkin seed oil (seed)‚ nettle extract (root). 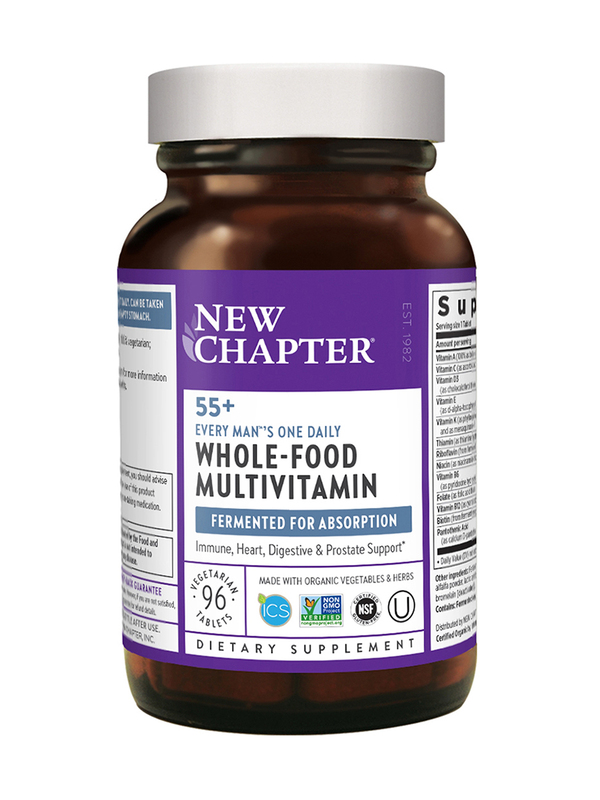 Other Ingredients: Ferment media (organic soy flour‚ organic gum acacia‚ organic saccharomyces cerevisiae‚ organic maltodextrin‚ organic orange peel powder‚ organic molasses‚ organic carrot powder‚ organic alfalfa powder‚ lactic acid bacteria [Lactobacillus acidophilus‚ bifidobacterium bifidum and lactobacillus rhamnosus]‚ papain [deactivated]‚ bromelain [deactivated] and organic safflower oil)‚ organic gum acacia‚ silicon dioxide‚ magnesium oxide‚ lac resin‚ organic maltodextrin and carnauba wax. 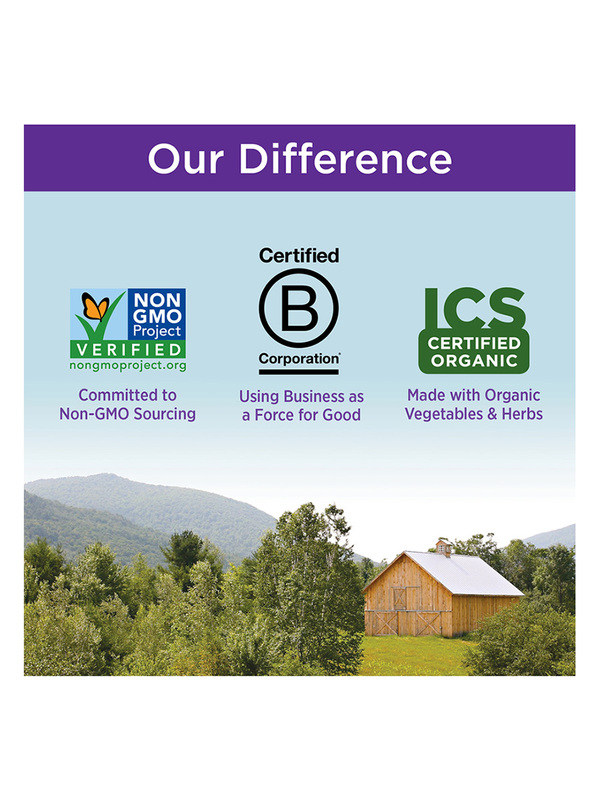 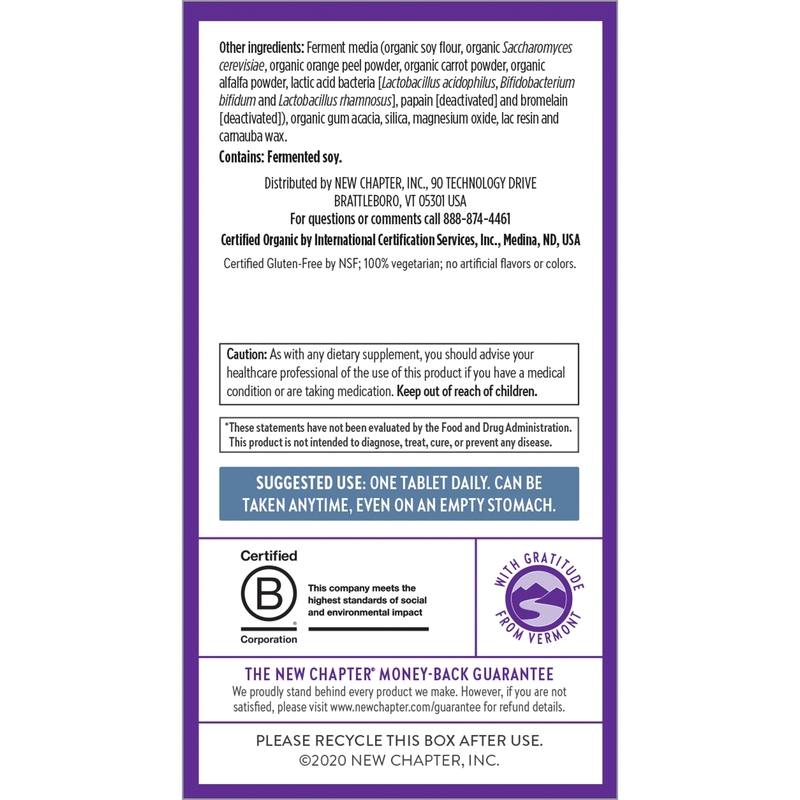 Non-GMO Project Verified / Kosher / Gluten-Free / 100% Vegetarian.